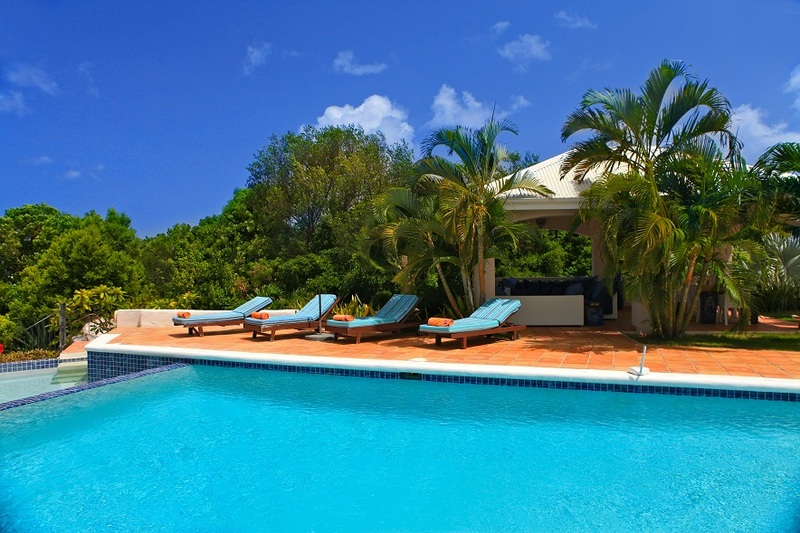 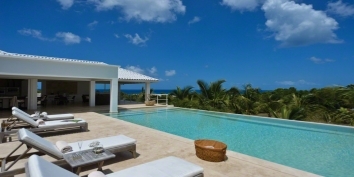 A luxurious, 4 bedroom, French West Indies villa with a very large overflow pool of 20 x 40 overlooking the sparkling Caribbean Sea! 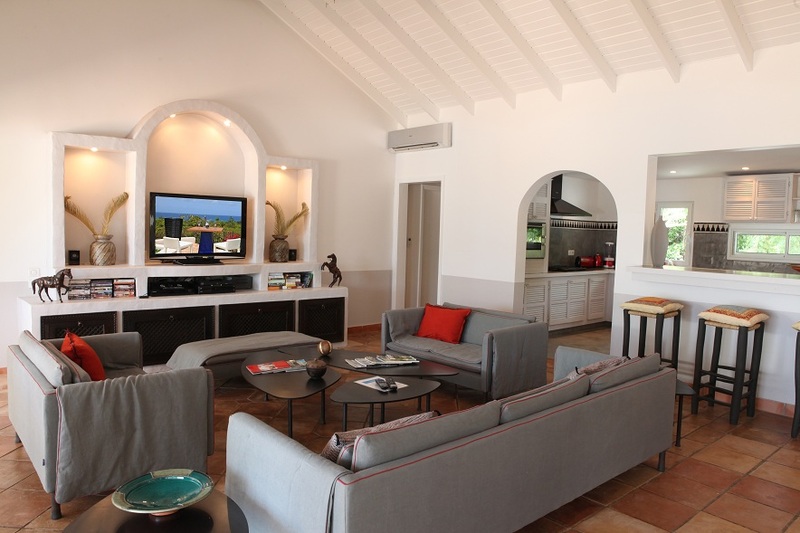 The interior of La Pergola vacation villa consists of 4 air-conditioned, spacious king sized suites, a beautifully decorated, air-conditioned living room and formal dining room, and a huge Mediterranean style kitchen. 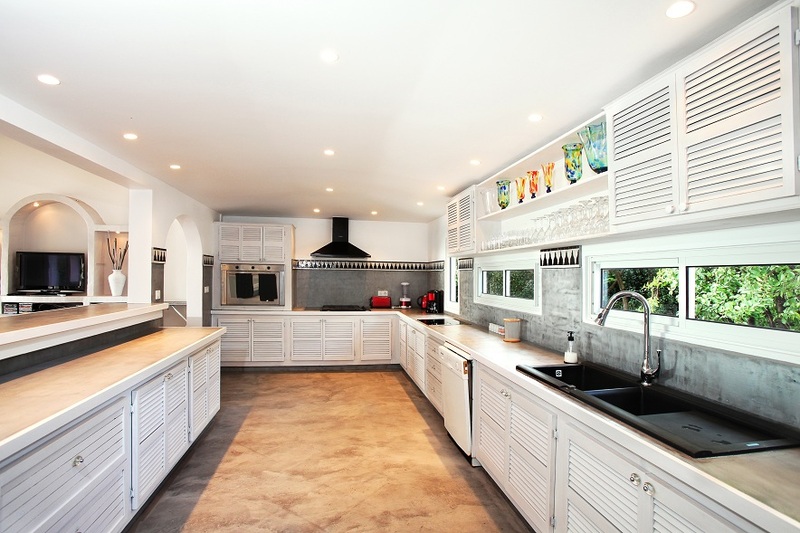 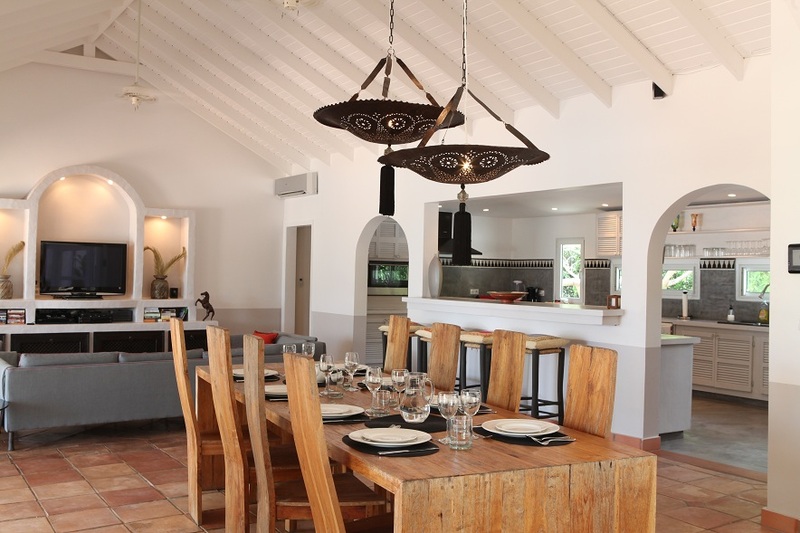 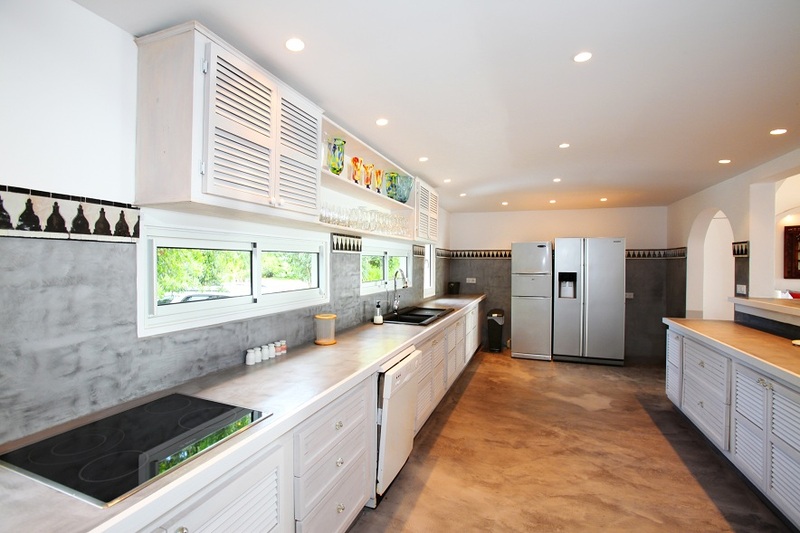 The kitchen is very well equipped with gourmet appliances and is perfectly prepared to handle a larger group for dining in house while on vacation in Saint Martin, or - even better - al fresco on the terrace or at the beautiful Gazebo with the great view of the Caribbean Sea! 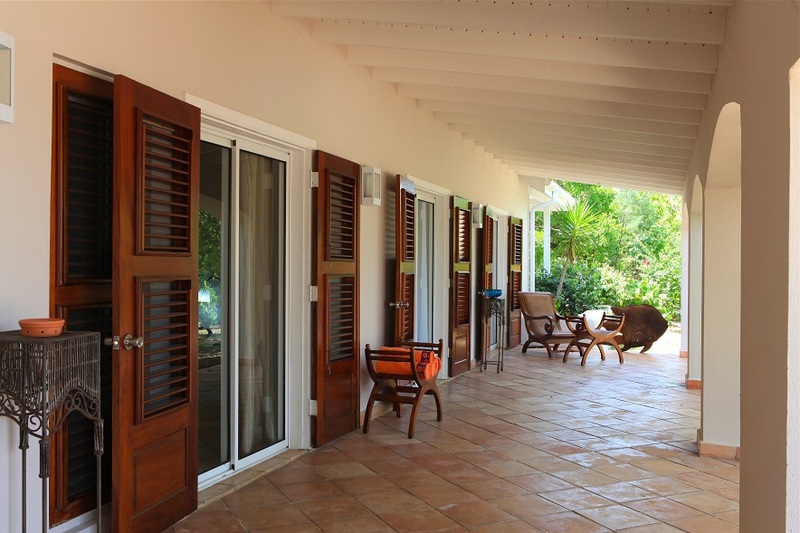 La Pergola is a wonderful choice for spending your precious, hassle-free vacation together with family and friends on the tropical island of Saint Martin. 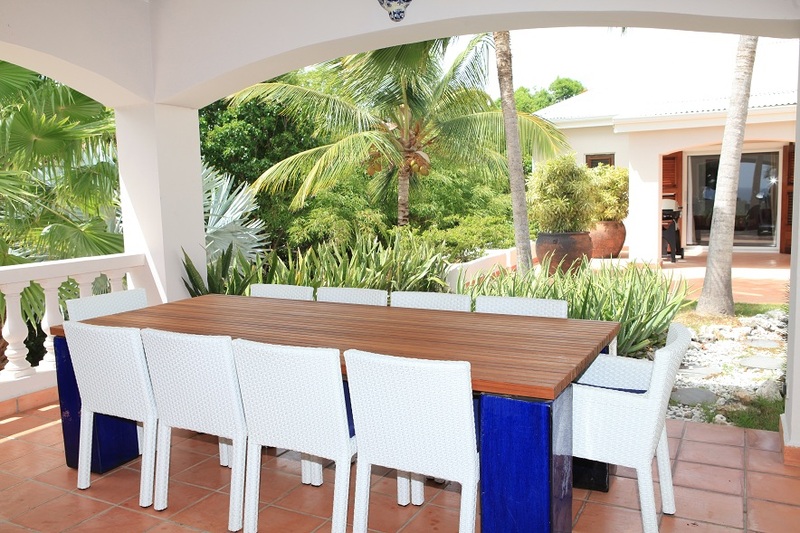 There is plenty of space and privacy for everyone, even in times when the property is used to its full capacity of 8 people. 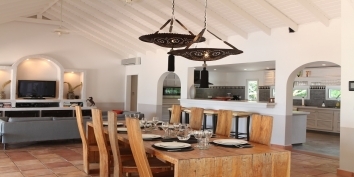 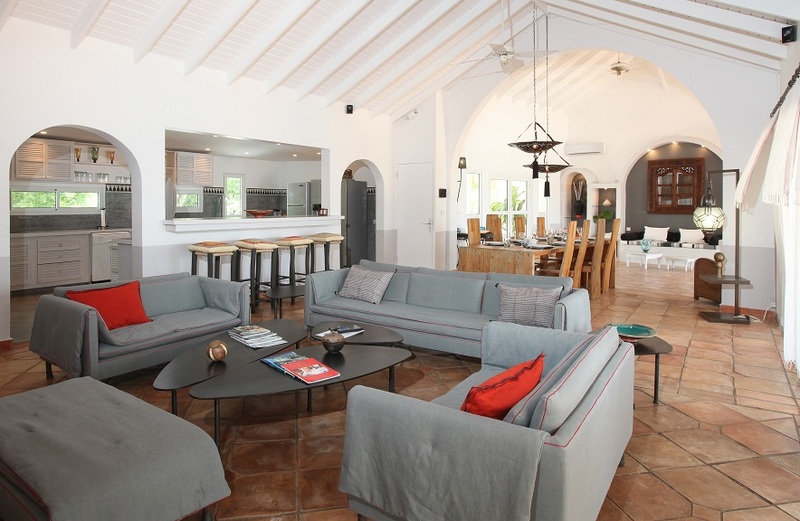 The villa is also available for smaller groups by offering attractive rates for only 2 or 3 couples to benefit exclusively from this fine, large 4 bedroom home. 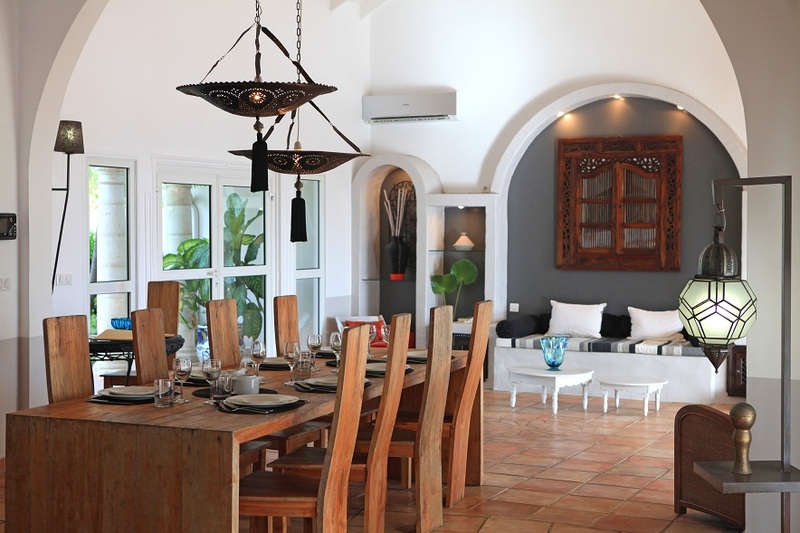 You will find some of the best restaurants offering a perfect blend of French and local cuisine within a five minute drive. 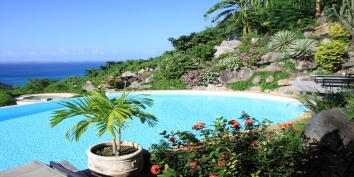 Grand Case, food capital of the Caribbean, is only twenty minutes away. 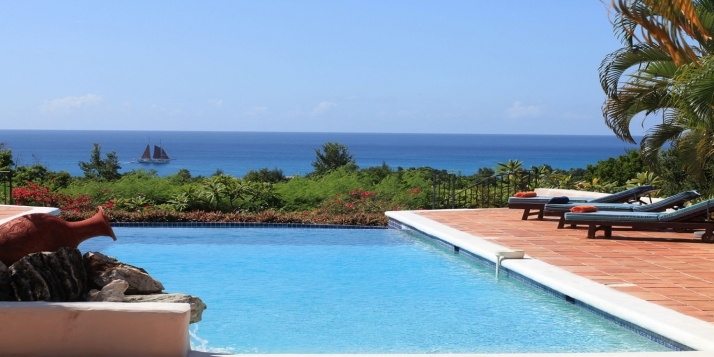 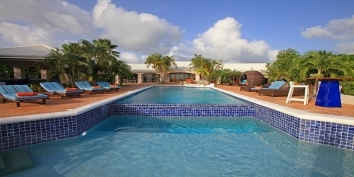 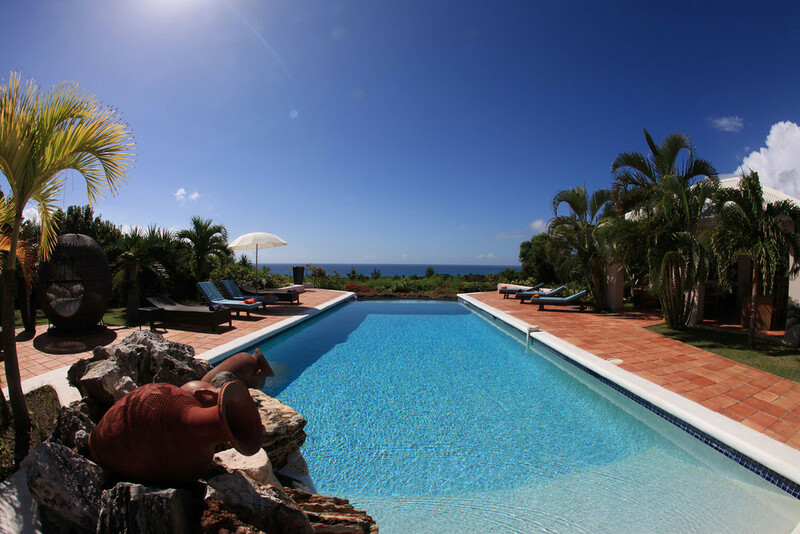 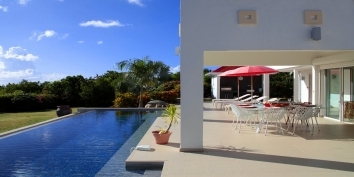 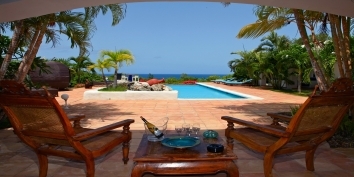 Very large overflow pool of 20 x 40 overlooking the Caribbean Sea, Long Bay and the island of Saba. 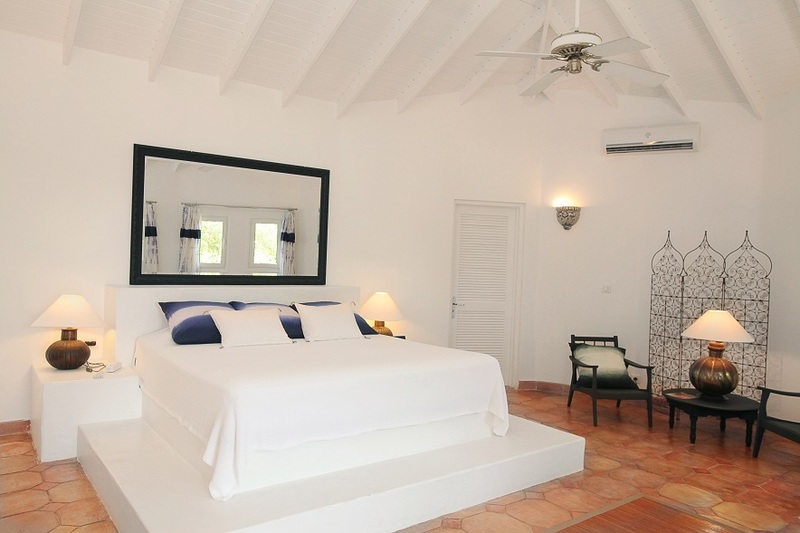 Four air conditioned bedrooms exquisitely furnished with king size beds. 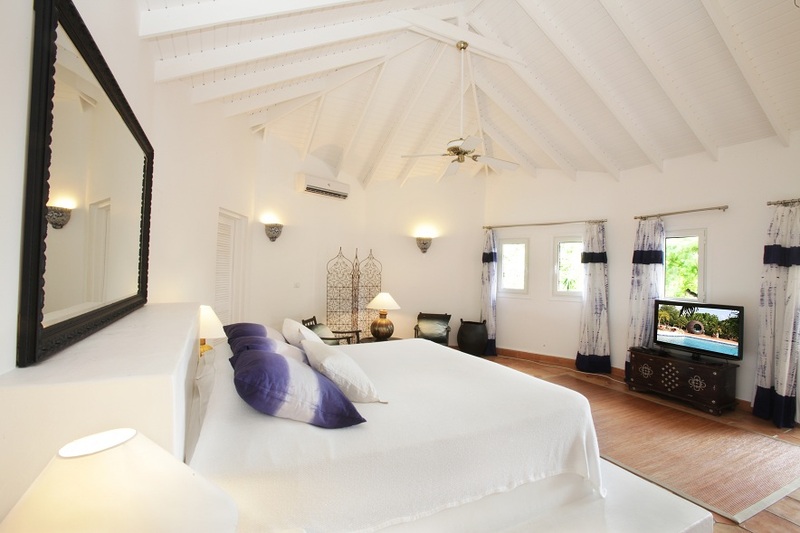 Each bedroom has a TV set and DVD player. 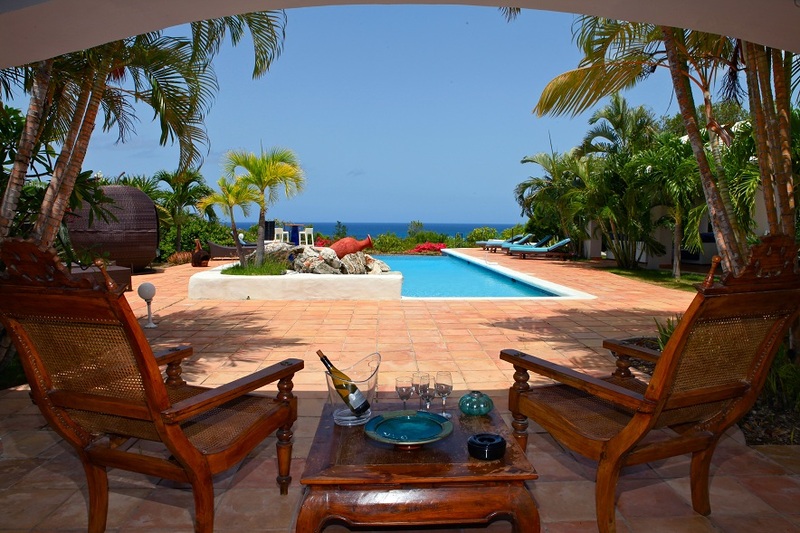 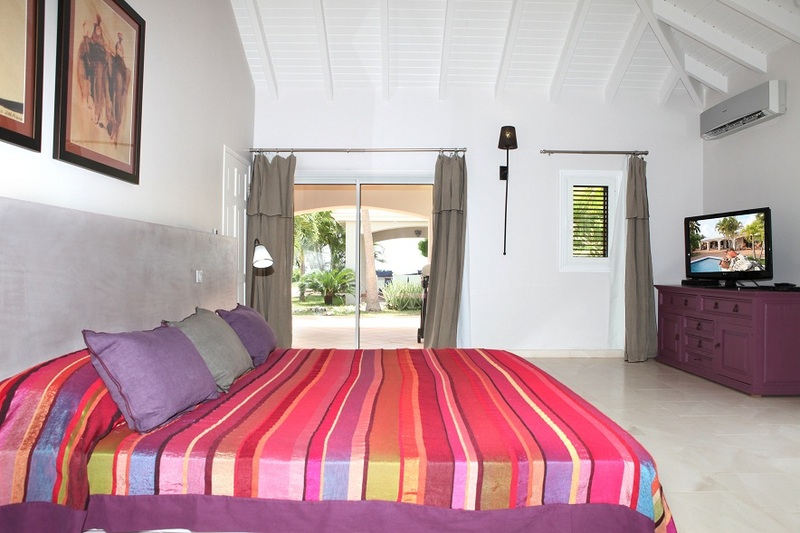 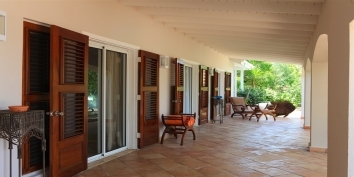 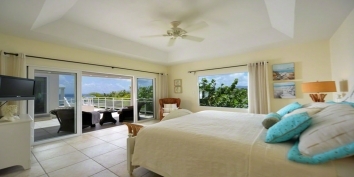 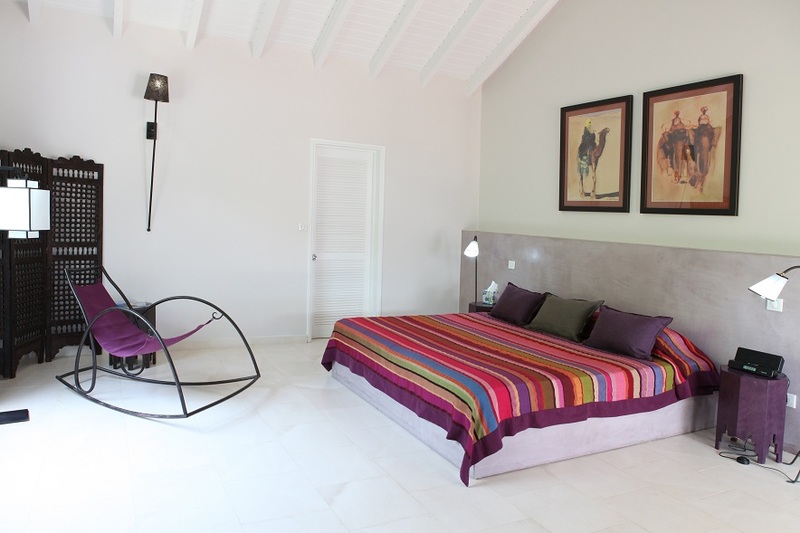 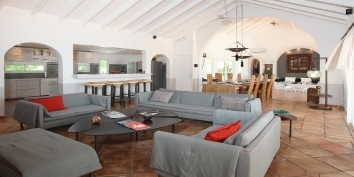 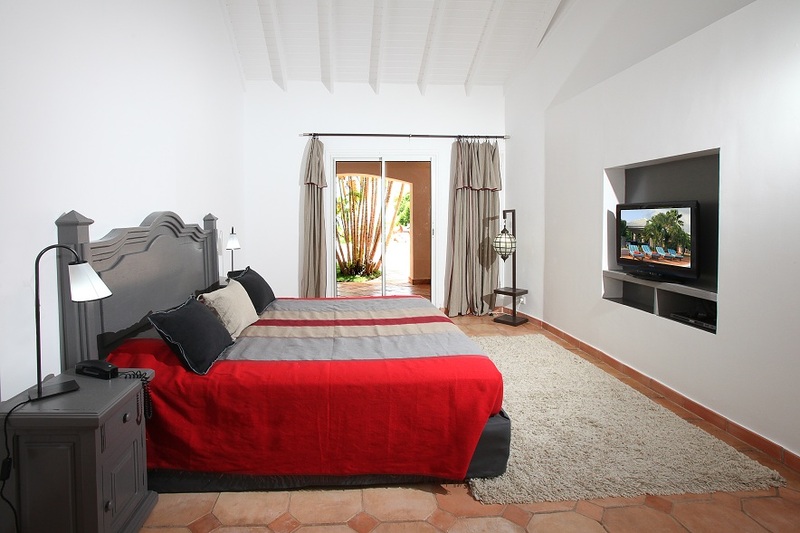 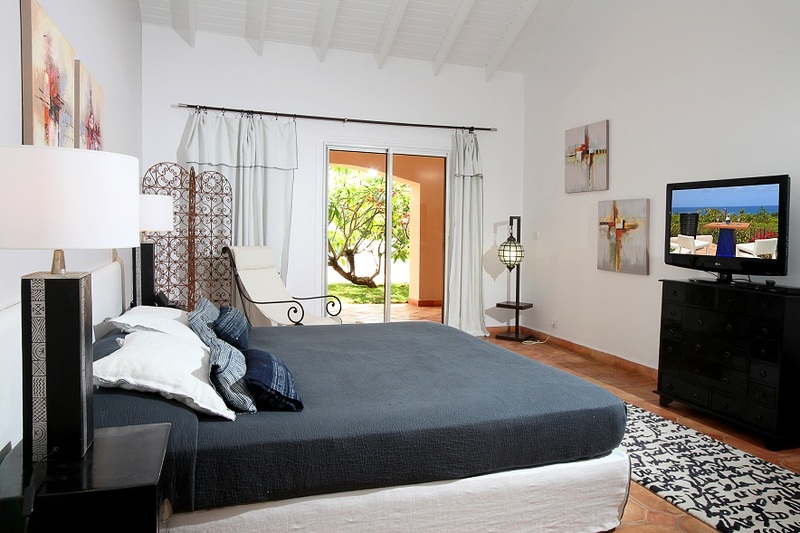 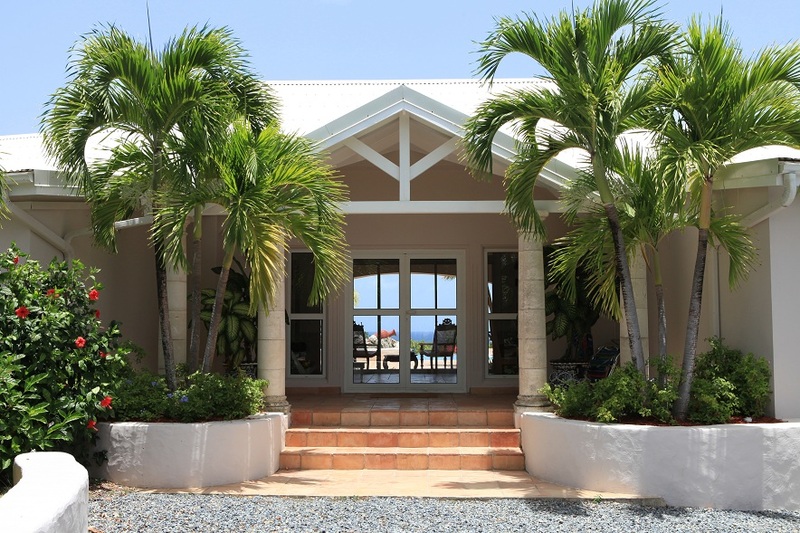 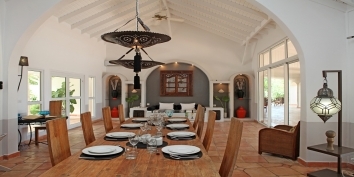 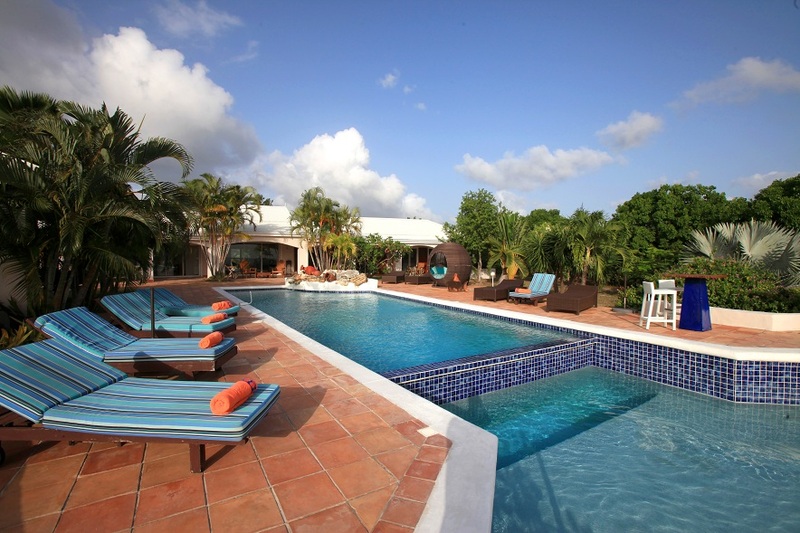 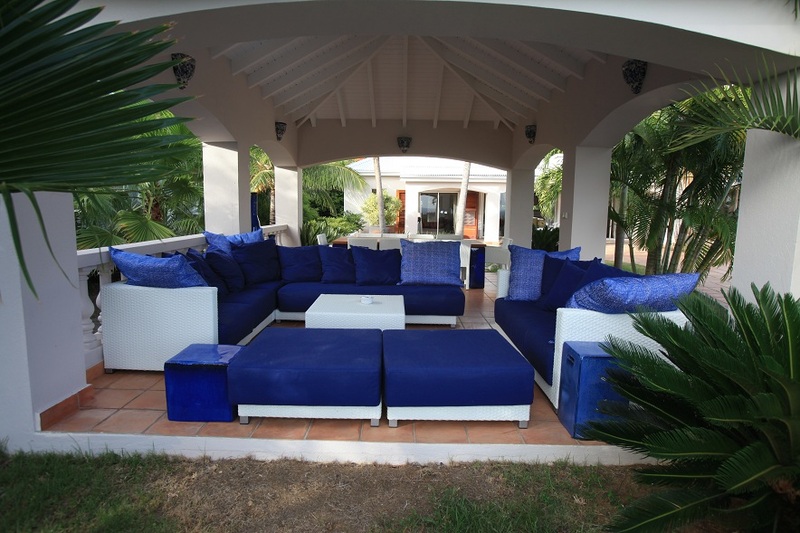 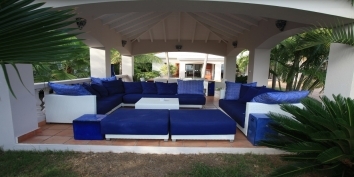 La Pergola can be rented as a 2-3 or 4 bedroom Saint Martin villa rental! 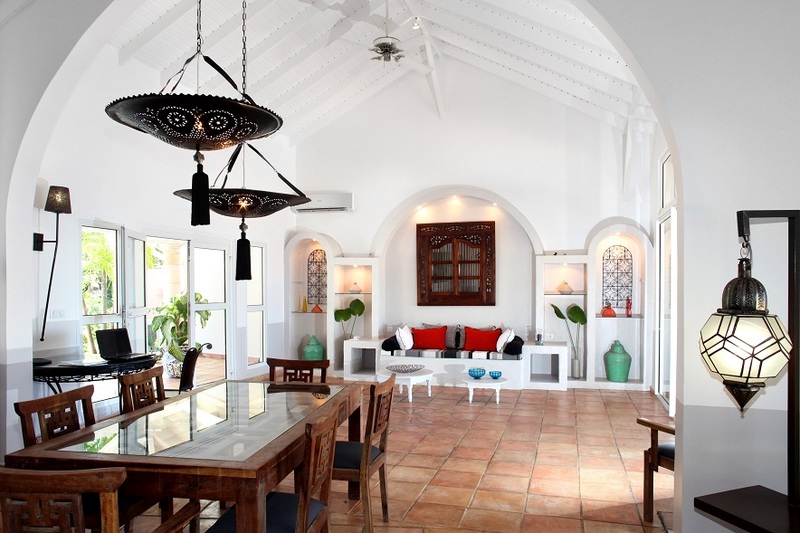 The contemporary living room is air-conditioned. 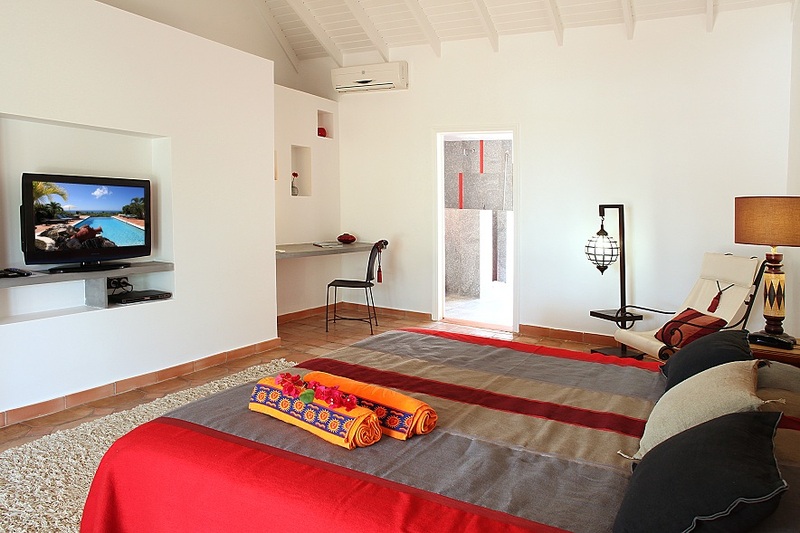 Wide flat screen Satellite TV, DVD, Stereo and CD player. 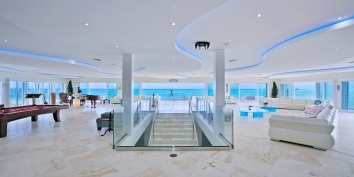 Loudspeakers inside. 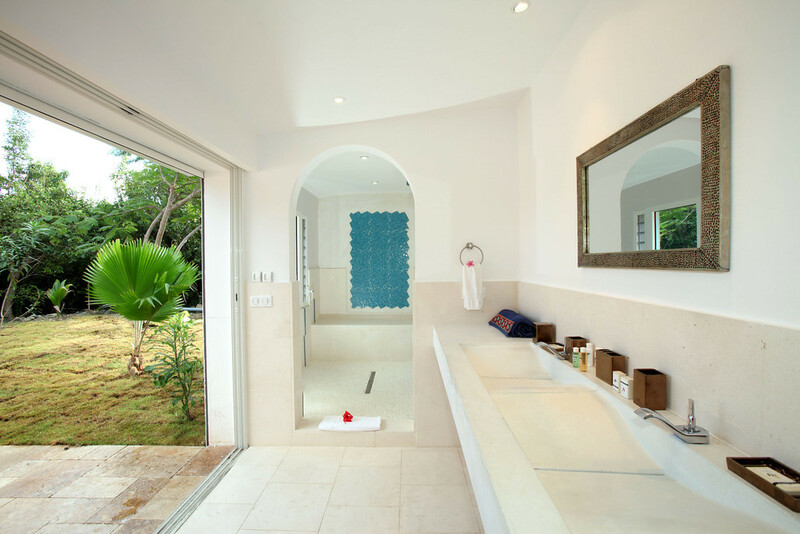 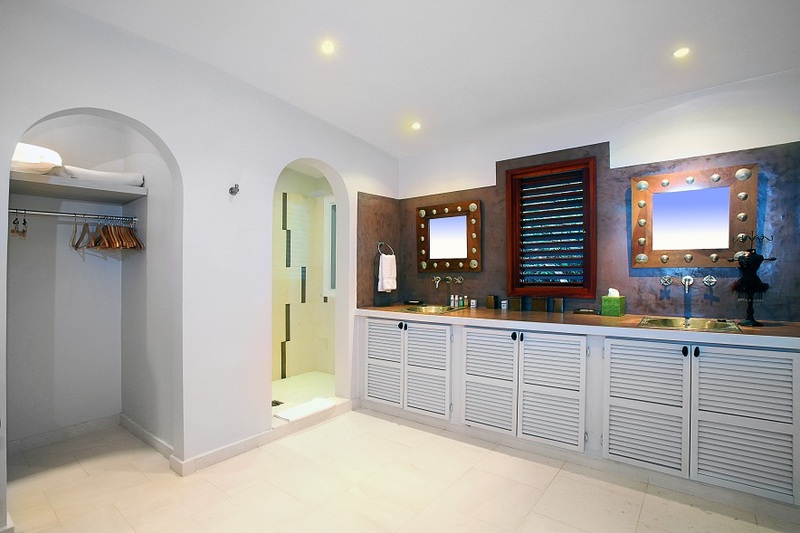 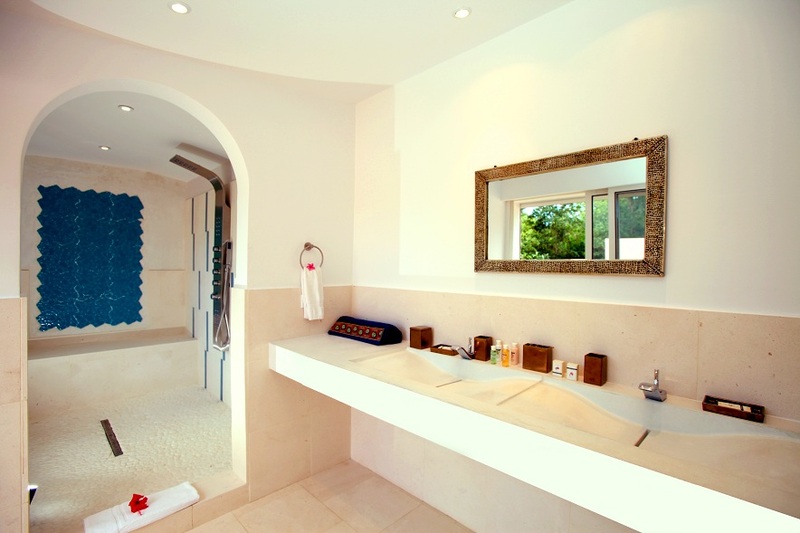 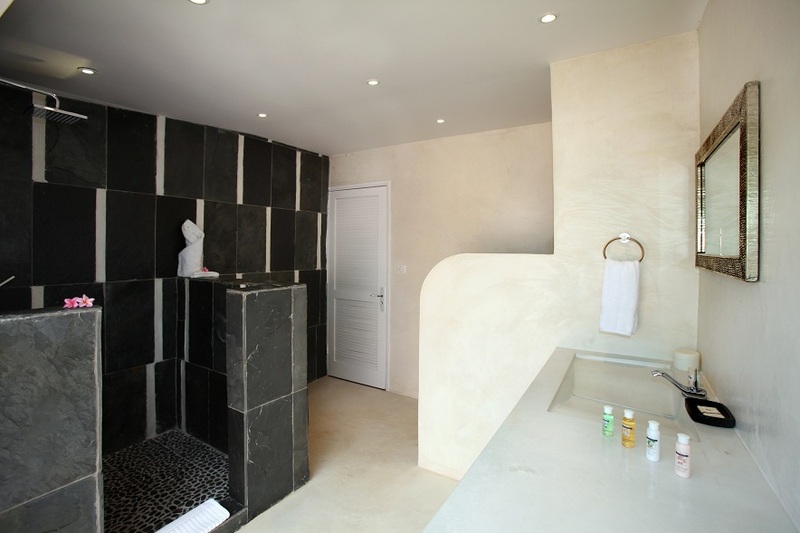 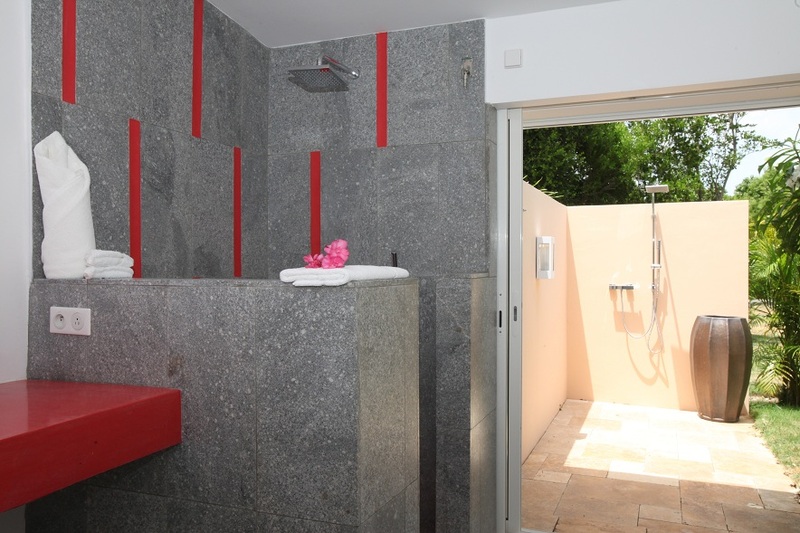 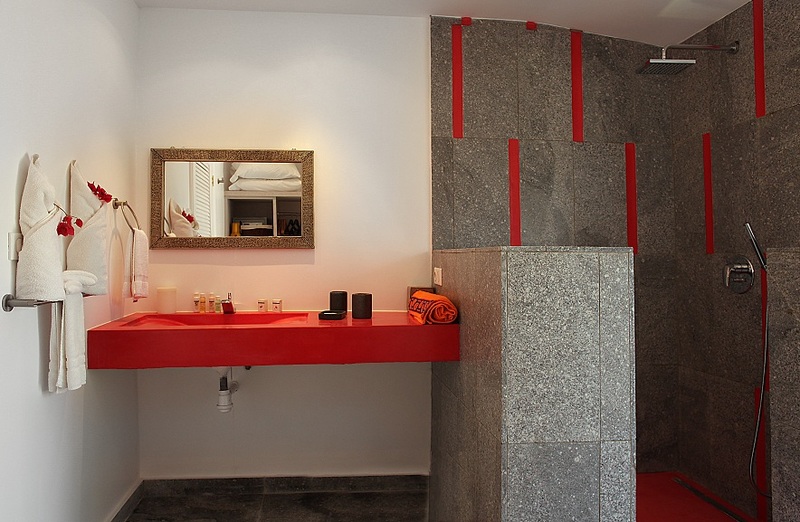 Each bedroom has en-suite bathroom with shower.